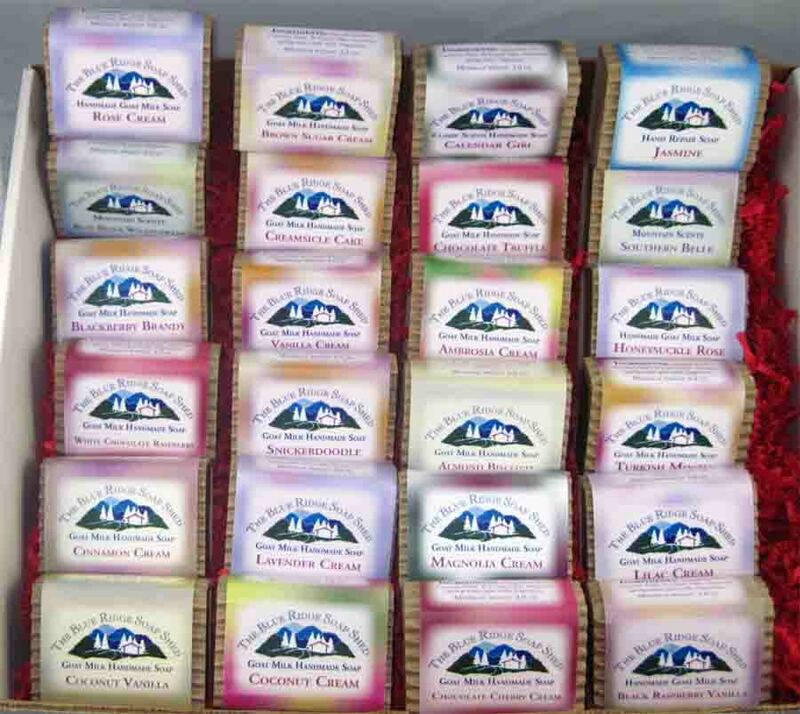 Better than a box of chocolates - Twenty Four wrapped soap bars ready for gift giving! So many bubbles - we can barely fit them all in the photo! You select the soap recipe or theme group, we'll wrap twenty four soap scents from that scent theme group, and ship your gift box filled with festive colorful raffia shreds along with your gift card and message. Regular price of twenty four wrapped bars of soap is $142.80. Not just one, but two luxurious soaps for every month of the year. Select from our delicious smelling scent themes below - or choose Unscented luxury as desired or needed. This gift collection of soaps will include soaps made of the following ingredients: Olive, Coconut, Palm and Castor Oils, Shea Butter, Cocoa Butter, Goat Milk, Sodium Hydroxide (Lye), Mountain Spring Water, fragrance or essential oils.